Ready to get started with hosted FTP? 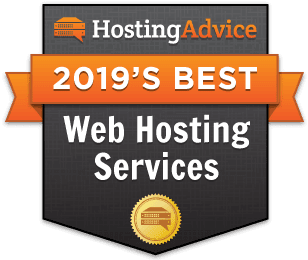 Our hosting experts have compiled the summary table below to give you a quick glance at all the best FTP server hosting services. As you review these hosts, take into consideration their price, server access levels, and technical support, as well as our expert ratings. Looking for something other than ftp hosting? Make your files readily accessible via FTP. Make the most of the experience with these leading hosts. There are two types of people: those who religiously delete unread emails and those who let the count soar into the thousands. Some people set their phone to delete text messages after a week, while others save everything and think they’ll fondly look back on the sweet moments and funny memes shared. Some writers and designers will hold onto drafts of their creations; others employ the “out of sight, out of mind” mentality when something is approved and published. For digital hoarders, the first step is admitting you have a problem. The next step is likely investing in a strong FTP hosting account that enables you to unburden your laptop and mobile devices by uploading everything to the web. Beyond a cluttered digital existence, FTP hosting has useful applications in business communications, collaboration, and website ownership. Whichever your use case, we’ve tracked down some of the most reliable, performant, and secure FTP hosting providers for you to examine. In the dog-eat-dog business world where time equals money, the ability to quickly and reliably transfer files is critically important. A strong FTP host can boost productivity by connecting files across devices, network locations, and cloud services. FTP, which stands for file transfer protocol, is a fundamental technology that allows users to move digital files to wherever they need to go, typically between your computer or phone and a server. Most — but not all — web hosts give customers FTP access to their servers so they can upload the content, images, and databases of their websites. Businesses can also use FTP server space to more securely share and collaborate on files, as some programs tout compliance with various encryption standards. To use the protocol, most people prefer to download an FTP client that allows users to drag and drop files between the two locations. Many of the software programs, including FileZilla, Cyberduck, and WinSCP, are free and open-sourced. Whether you’re uploading files to your web server, decluttering your laptop, or sharing documents or video files with coworkers, these providers offer streamlined and high-powered infrastructures geared for FTP hosting success. Read on to learn more about the specific features for which we search. Some hosts, particularly the ones highlighted above, optimize their servers’ FTP settings to ensure the connections are as safe and performant as possible. We especially appreciate plans that allow unlimited FTP accounts and unrestricted file sizes. Although you can access a browser-based FTP client through a control panel, we prefer when hosts allow customers to use whichever client they prefer. Providers typically send FTP configuration information when you sign up for hosting services. Otherwise, you can set up accounts and find login information in the account management portal. Some hosts even provide downloadable files that will automatically set up your FTP client with the pertinent information. For those looking for security, seek out hosts that allow for SFTP, which includes the SSH protocol. Another option is FTPes, or FTPS, which adds support for TLS and SSL transfers. This is particularly useful if your hosting plan comes with SSL certificates by default. Whether you’re an expert programmer, novice website owner, or simply a digital hoarder, a strong FTP hosting plan can fulfill a number of business, productivity, and storage needs. The vast majority of reputable hosting providers offer some form of FTP access. If this is an important feature for you (and we assume it is, since you came to this page and read all the way down here), be sure to take the time to suss out if a host is paying more than lip service to FTP functionality.